RSS leader Kundan Chandravat, who had announced a bounty of Rs 1 crore for beheading the Kerala Chief Minister Pinarayi Vijayan, has retracted his statement after it drew condemnation from various quarters including the Sangh. Mr Chandravat, RSS Sah Prachar Pramukh in Ujjain, claimed he received phone calls from Kerala threatening to kill him. "I was pained on the issue of murders of Swayamsevaks and therefore made an emotional statement. I retract it (statement) and express my regret," Mr Chandravat said in a statement late last night. "I also got some phone calls from Kerala in which an unidentified caller threatened to kill me," he claimed. 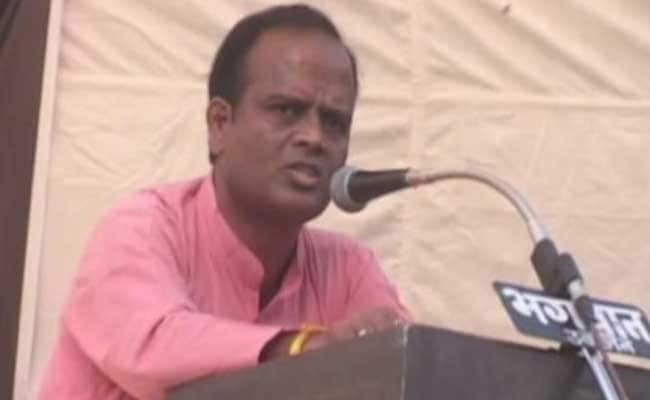 Mr Chandravat, a local RSS functionary, made his shocking offer in Madhya Pradesh's Ujjain, saying, "If anyone gets me the head of Vijayan, I will give him my property, which is worth around 1 crore." Mr Chandravat had announced the bounty to avenge the killing of RSS workers in Kerala, allegedly by CPI-M workers. His speech sparked an uproar, drawing condemnation from the RSS, the CPI(M) and the Congress yesterday. He also claimed that 300 innocent people belonging to the RSS had been killed but the Kerala Chief Minister was turning a blind eye. The RSS was quick to condemn Mr Chandravat's statement, stating the organisation did not believe in violence. "The RSS strongly condemns such statement. The Sangh does not believe in violence. But we will continue to protest against attacks on our workers in Kerala in a democratic and peaceful manner," RSS national 'Sah Prachar Pramukh' (Joint Chief of Publicity) J Nandakumar said. Mr Vijayan, however, dismissed the threat to his life, saying such calls would not prevent him from travelling around, while Kerala's ruling CPI(M) and Congress sought the arrest of Mr Chandravat for his outrageous comments. Kerala has been witnessing a series of political clashes between the cadres of BJP-RSS and the ruling CPI(M),especially in the northern Kannur district from where Mr Vijayan hails, for a long time. Both parties have blamed each other for the cycle of violence which has claimed several lives on both sides.